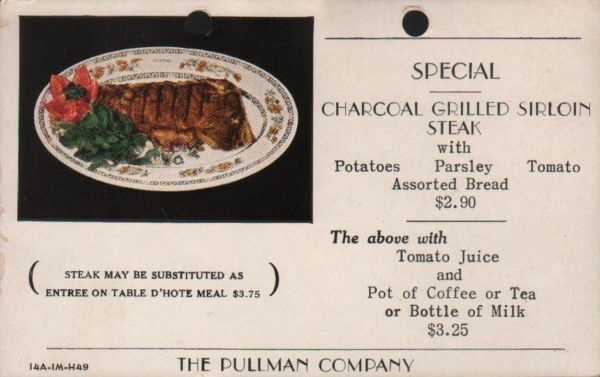 Description Pullman insert (called a rider by Pullman) advertising a Special: Charcoal Grilled Sirloin Steak with Potatoes, Parsley, Tomato, Assorted Bread $2.90, The above with Tomato Juice and Pot of Coffee or Tea (Hot or Cold) or Bottle of Milk, $3.25 Steak may be substituted as entree on table d'hote meal $3.75). 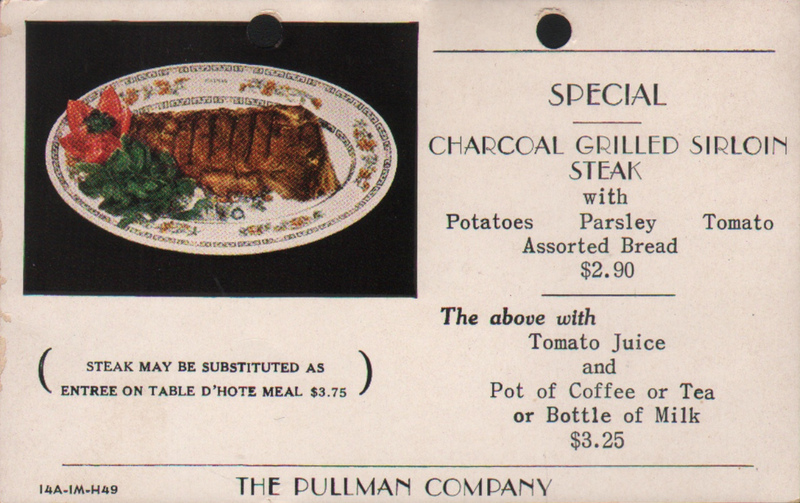 The Pullman Company 14A-1M-H49. 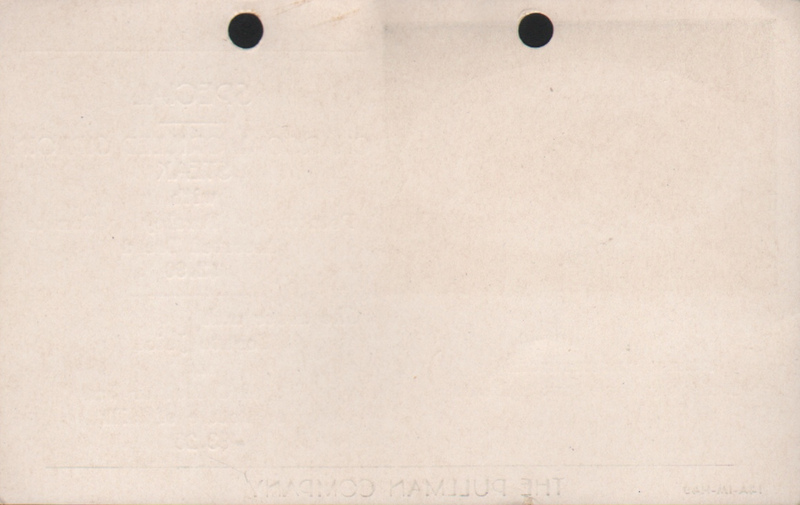 Purchase with three other riders that were not attached to a specific menu.